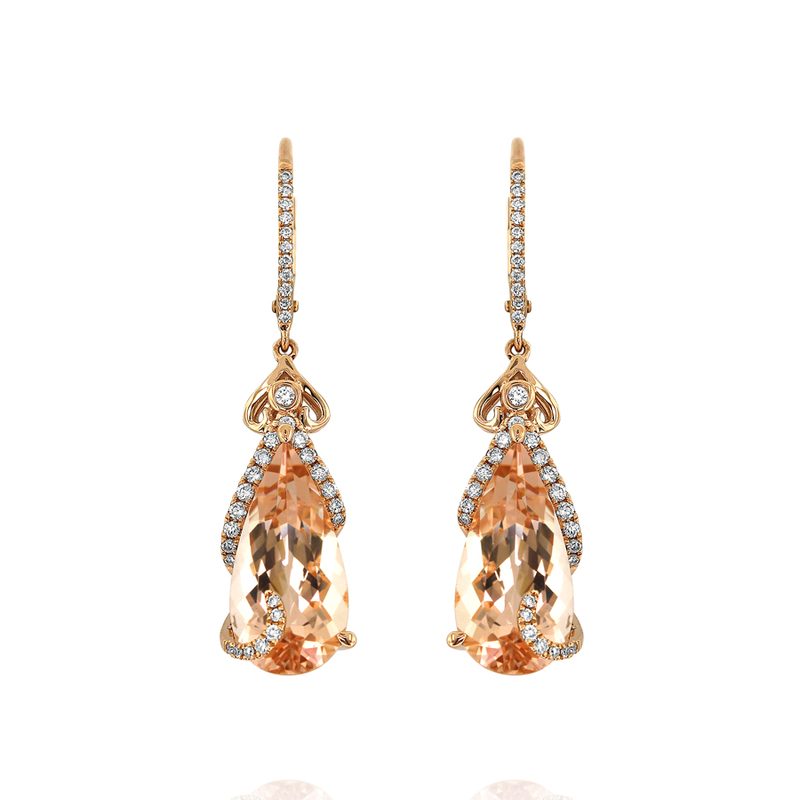 These modern classic earrings feature drop-shaped morganites gently gripped by two curls of diamonds designed to look as though they curve around the morganite stones, from back to front. The shape of the diamond culiques is echoed in the rose gold motifs from which the morganites are suspended. 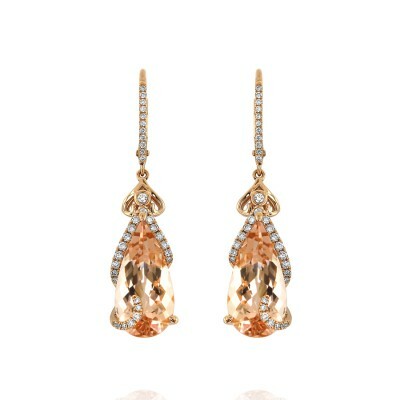 These earrings are finished with comfortable French lever backs decorated with a coordinating line of diamonds.